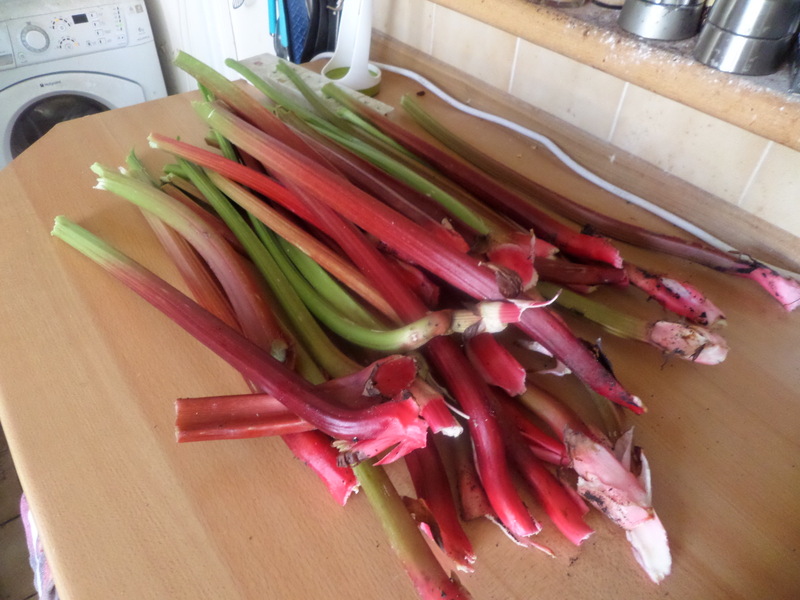 The garden is producing lots of rhubarb. 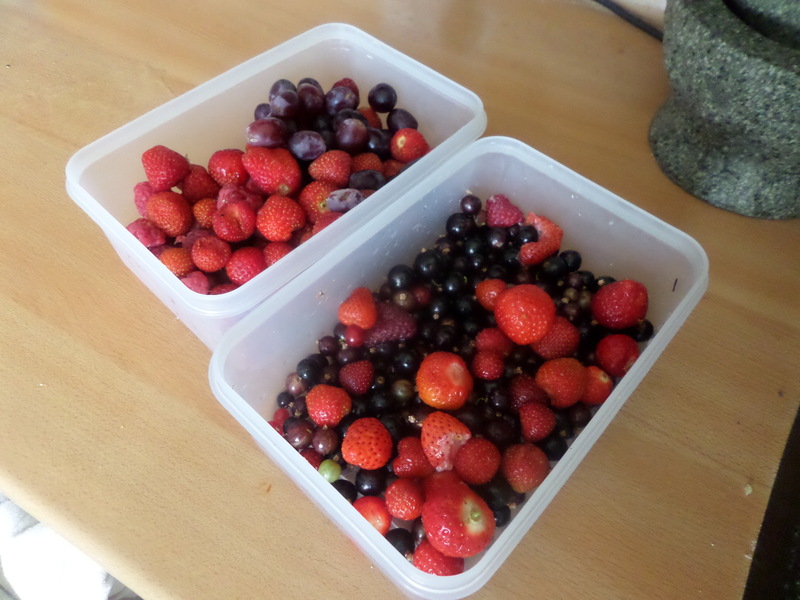 So I’m going to try my hand at making jam with it. 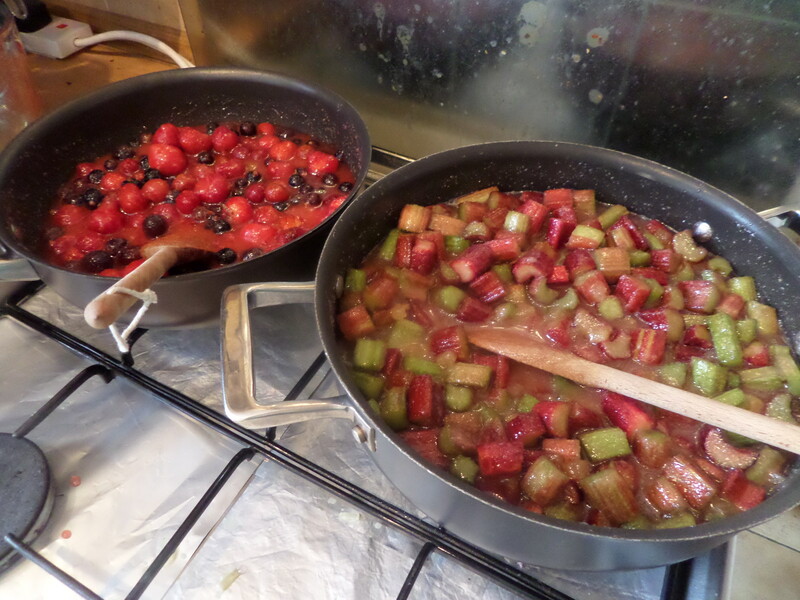 Rhubarb and ginger jam is one of my favourites, so that will be one, with a generic summer berry jam for the other. 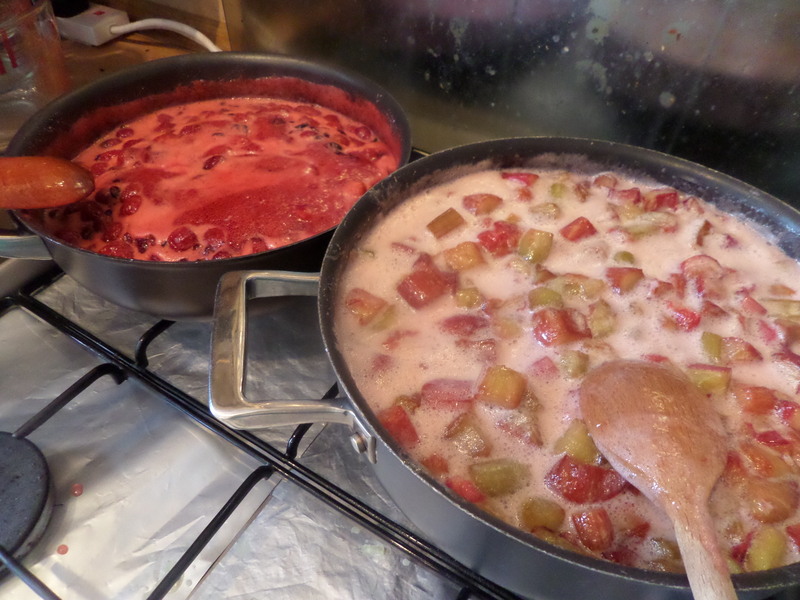 I ended up with twice the amount of rhubarb needed, so I’ve had to dig some pectin out of the cupboard as I only had two bags of jam sugar. Oh and I nearly forgot the ginger! Then it’s just mixing everything together. Sounds easy, but the bowls are full and things kept escaping. 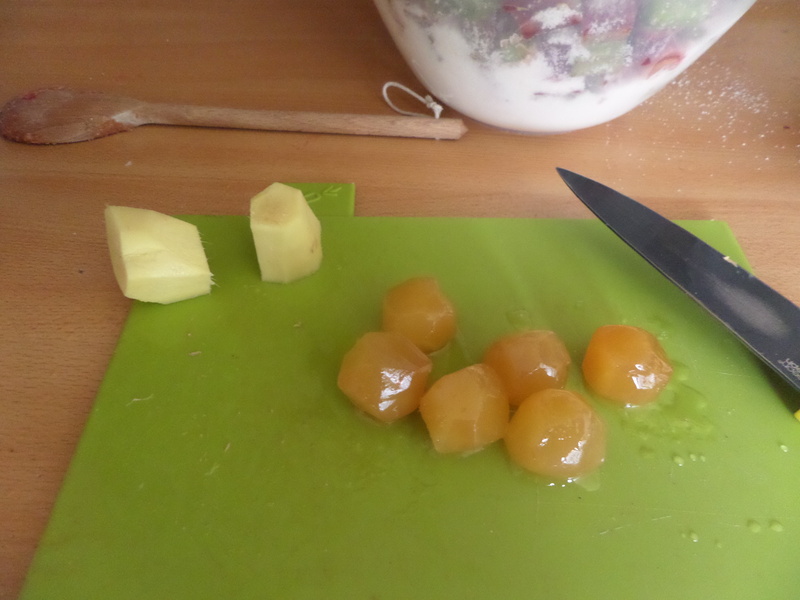 These get covered and left for a few hours, with occasional stirring, before cooking. 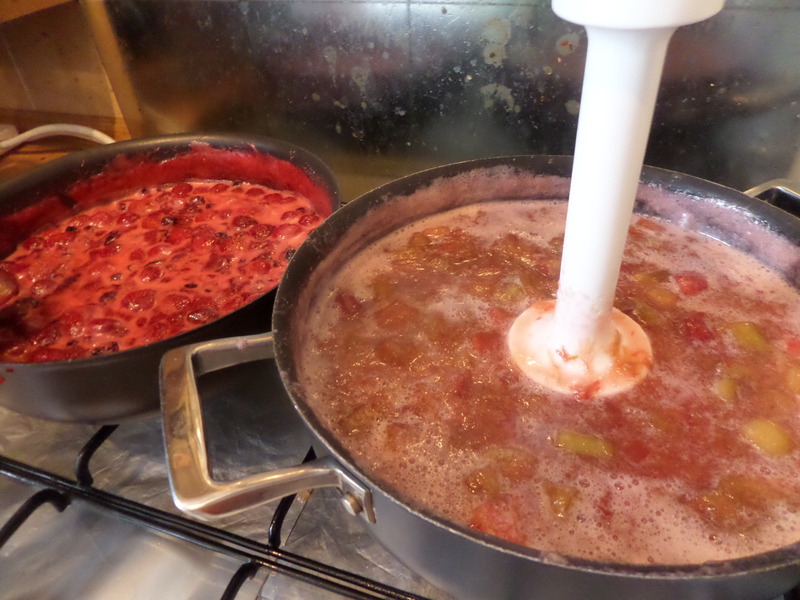 To cook they get gentle heat to dissolve the sugar. 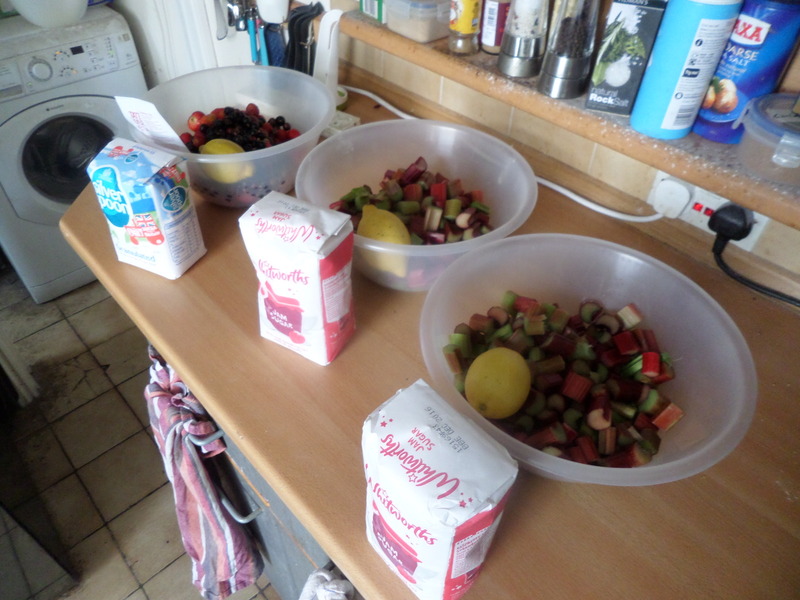 Then brought to the boil, the berries for five to 10 minutes, the rhubarb 10-15. 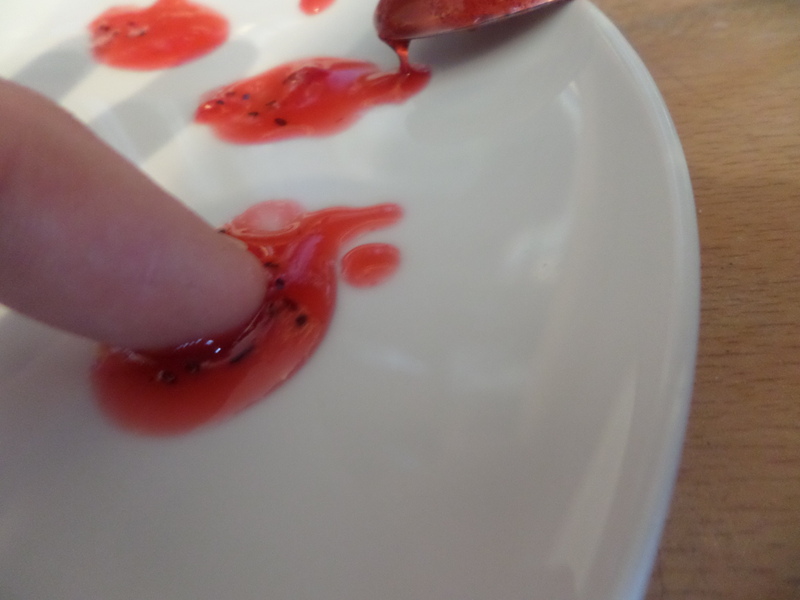 Then it’s time to test on a cold plate to see if they wrinkle – is this wrinkling? 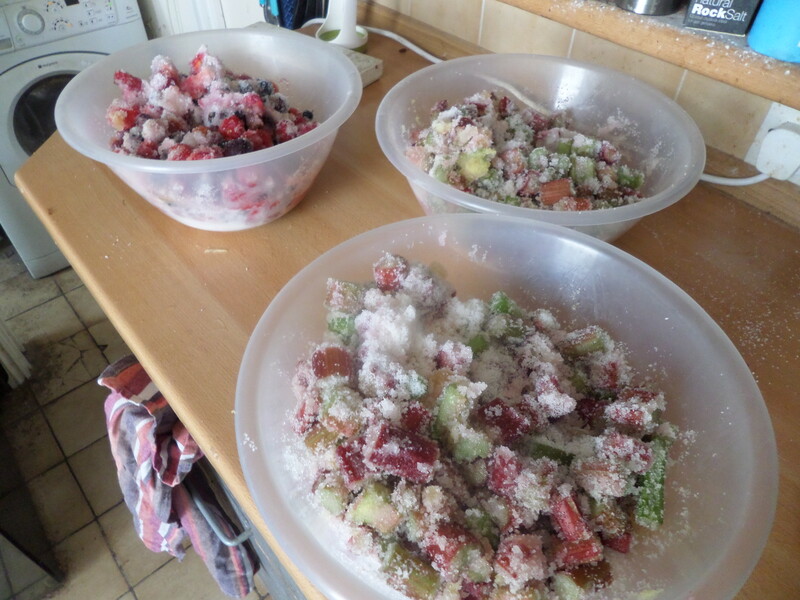 Unconvinced by my wrinkling I gave them both extra time, and also decided to blend the rhubarb one a bit as there were pretty huge pieces in there that would have made spreading impossible. 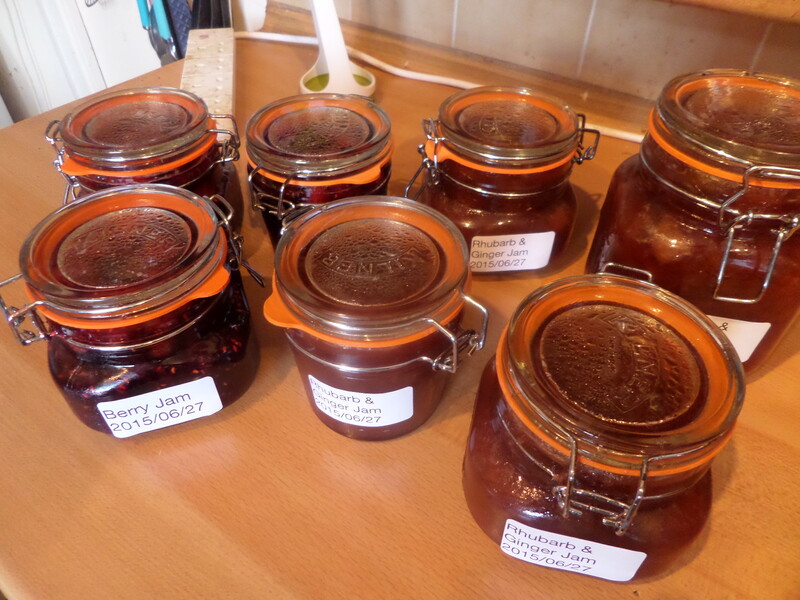 The wrinkling didn’t seem to get much more defined, but they’d both had nearly double their supposed times, so I decided they were done, and put them into sterilised jars. Time will tell if they set up properly. Look out for the berry jam in an upcoming ‘ultimate homemade PB&J sandwich’ in which I’ll be making my own nut butter and sourdough bread!